Fig. 9 Example of the Dashboard after a fresh install. This Open OnDemand application provides a web-interface for launching the various other Open OnDemand applications. It also provides links for managing the session of the logged in user. This application is built with the Ruby on Rails web application framework. Fig. 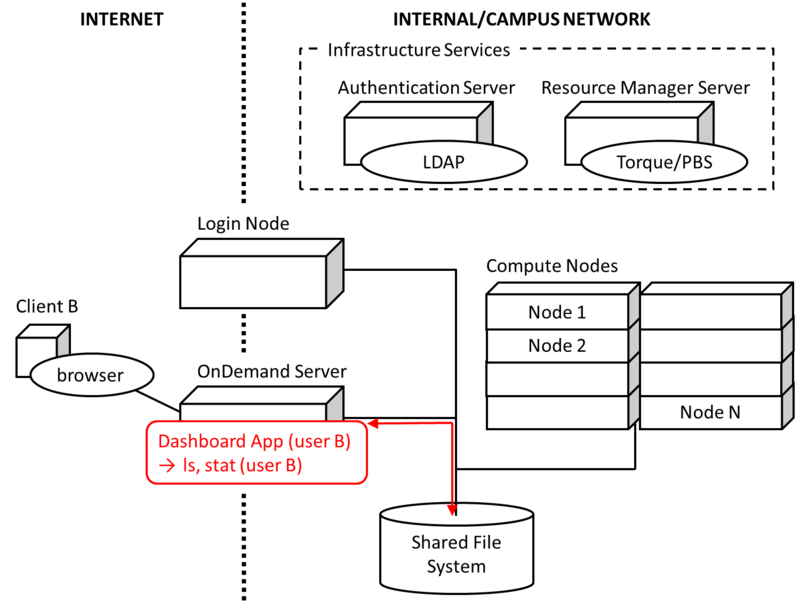 10 Diagram detailing how the Dashboard App interacts with the HPC infrastructure. Fig. 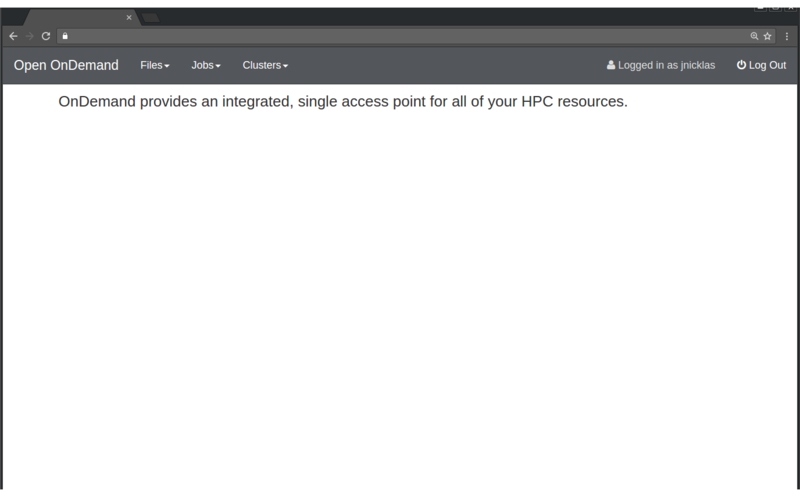 10 details how the Dashboard App works on the local HPC system. The user’s PUN running on the OnDemand Server launches the Ruby on Rails Dashboard app through Passenger as the user. The Dashboard app scans the deployment locations on the local and shared file systems for other Open OnDemand web applications. In particular it looks for a manifest.yml under the application’s root directory that describes how the Dashboard should advertise the application. The Dashboard will then dynamically construct its navigation menus based around these discovered applications. Web applications that are protected by file system permissions will not show up in the Dashboard navigation menus if the current user does not have access to these files.